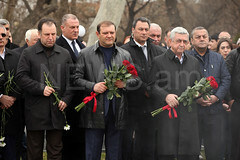 YEREVAN.- Armenia feels like a new country, it feels like Armenia has a lot of energy, a lot of hope and promise. 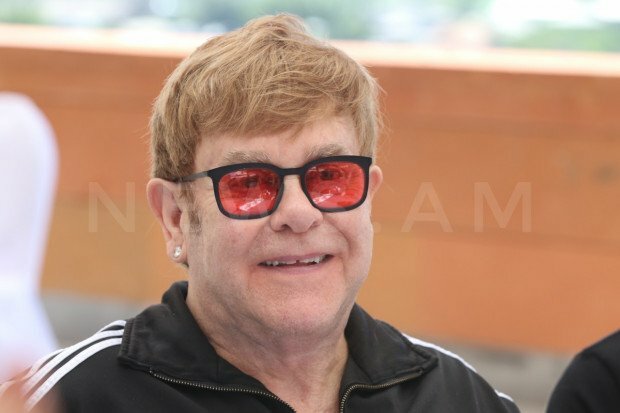 There is a lot of things to be done, but it's turning only 25 years old, world-famous singer and composer Elton John told reporters during the charity event, during which about 100 hearing aids were handed out to Armenian children with hearing problems. 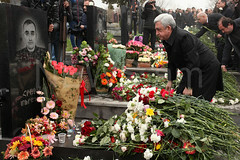 "We have a lot of Armenian friends in England and in the US. And Raffi and Vache Manukyan are dear friends of ours. 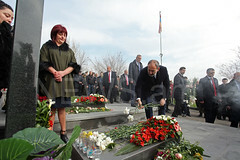 So they have always talked about Armenia and how it is emerging as a new country. It's only been independent for 25 and so we've always wanted to come here and this is why we are here to see ourselves the progress that a new country is making and I today on our way to clinic that it feels new, there is an energy here, it feels like Armenia has a lot of energy, a lot of hope and promise. There is a lot of things to be done, but it's turning only 25 years old," Elton John noted. "As an organization we hope to do some work within the field of HIV and AIDS in Armenia with the LGBT community and that's what we've come here to meet these people so that we can establish contact with them and the point of reference so that we can start helping and it is always nice to start helping to change the way people thing. It does not happen quickly but it can happen," Sir John added.